Learn at your own pace - Test your abilities! 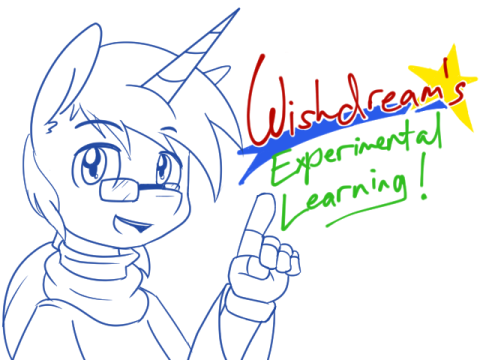 Hi there everyone, welcome to my Experimental Learning thread. In this thread, you can learn skills at your own pace and improve upon existing ones you have. A lot of you guys in the chat asked me about making one for not just music but for others as well. The results of that is one united thread for Spriting, Coding and Music. What's the difference between this and the other tutorials? Well, at first, you find things out by yourself. You learn how to check documentation and familiarize yourself with the software you're using. Second of course that you improve upon the results of the past, you learn a little bit then a little bit more. An exponential way of learning really. Definitely more effective and book context teachers and the like. Lastly, you can try and to do better in what you've worked upon. An extra effort to make it more beautiful and make it yours. Now since each activity is posted only 3 times a week, perhaps it will help to pique your interests to improve more and get prepared for the next activity. Alright, so this is how it goes. I give you an activity and it's up to you to find out how to do it. I will explain why the activity is important. Though some other activities are not explained and that because it means it is a see for yourself experience and how significant the results can be. TL: DR - I give you a goal, up to you to find out how to do it and how it works. This experimental learning goes with tutorials everywhere and as well as reading upon the documentation. This is a very flexible way of learning because you CAN use any software and any way of learning. Now, before we start. These are the software I will be using, they are all free. I will be using MSPaint but later on, when we proceed to more advanced things like animation, we'll be using GraphicsGale. Now, I will be light on myself and use Game Maker. But you guys should use your preferred language along with a graphics library to help you with. I recommend Love2d with Lua. Game Maker : Studio - Available on Steam for free. Also on http://yoyogames.com/ if for some reason don't want to use the Steam version. Now because this is closest to FLStudio and actually available for Windows, I'll be using LMMS. Okay then! Now that we got things all ready and set, on the next post will be the first and foremost activity so we all can get started! Make a 8x8 in px(pixels) box. Any color. We'll start with the very basics. Now the reason why we're doing it this simple is that we're going to improve upon this box. HELLO WORLD! A programmer's first program. Since we're doing a game, create a 640x480 windows and write Hello World on the screen. DO NOT USE SPRITES. For Game Maker, learn how to draw text on screen using the "Draw" section in Game Maker. You cannot use DnD/Drag And Drop with this activity. We're learning how to code, remember that. Under default settings, make a simple drum loop. That's it really. If you can do this, then I say welcome to the program. Haha, the whole October got me busy. Real busy. More of bad, freaking luck. Either way. I gots something. Now, give the box, a little depth. Let's try something simple... like lighting. Now, draw a picture. Like just display it. Any picture is fine. Now, make a melody. Like a simple melody. Doesn't have to be complex. If you can't, try copying or maybe alter it a bit. Like say, the tetris theme. Let's add a little bit more. Find a way to add shadows. Expand your canvas if needed, but try to add shadows on the object as well! You might want to start changing that outline color for greater effect. Layers! Let's try to make a scene. Draw 3-4 images on screen layered above each other. Like one is the background sky, then next is the trees and grass, then after is a foreground grass that covers a portion of the screen. Bass. Add something to accompany the melody! Okay, let's move away from boxes a bit and let's make a larger canvas. 16x16 should do. Now make like say a barrel or a small character. Now, let's make something interesting. Let's know about the game loop. There are 3 things that's important. Create, Step, and Destroy. On every "step" or every frame I want you to make a picture move a pixel to the right. That's it. We're gonna try motion. If successful, you should see your object move out of the screen. If you need speed control, 30 frames per second. Use that. Now that you've know a little of the basics. Try to re-create a simple song. Kind of like a remix or a remaster. Now add lighting to your current sprite. Try not doing it too much. Try another style if you already have. Now try to have 3 pictures moving on screen. The first one is on a slow speed, the second one is on a medium speed, and the third one is on a high speed. Have them loop around the screen. You might've noticed that the first you draw is the lowest layer already. So it may give a sense of depth. If you pulled it off, then congratulations! You just made the parallax effect. Now, try to make it another genre. Look up techniques you can find and see if it fits.